Customer Picture Number 208 Selected. Cool Car decals applied. 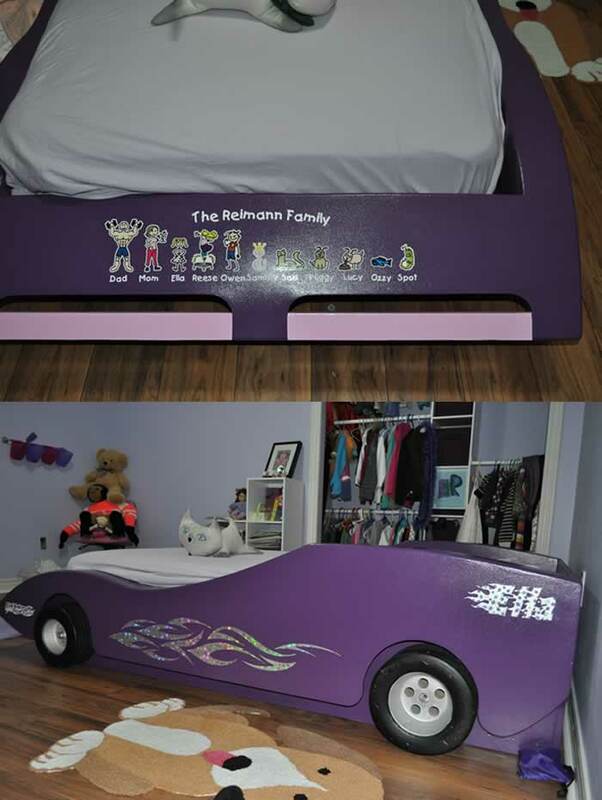 An absolute one of a kind custom hotrod bed. Sleeping in style. This bed sports a large full color family decal in the front and custom stars holographic vinyl tribal flames on the side.